An investor's crucial guide to the changing face of Saudi Arabian business Business and Entrepreneurship in Saudi Arabia is an essential reference guide, informing investors on the key issues that define how business will be done as the nation's family-owned businesses change hands. 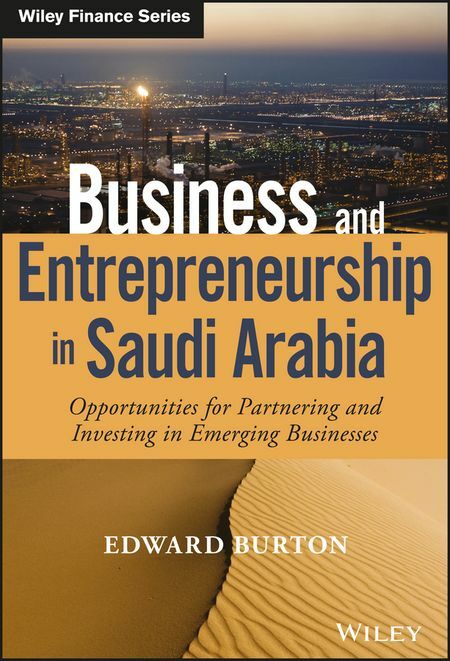 Supported by the U.S.-Saudi Arabian Business Council, this book introduces the reader to the new Saudi entrepreneur and explains why Saudi Arabia's boom deserves more of the world's attention. As the heads of family-owned businesses age and corporate boards are reshaped, business practices will be influenced by the ascension of the country's young leaders. Interviews with young Saudi entrepreneurs describe the challenges, triumphs, failed attempts, and successful endeavors they experience every day as time-tested traditional models bump up against more modern, innovative ideas and methods. The book's companion website features a variety of useful tools and documents that help readers implement the concepts presented, and the firsthand information provides deep insight into the future of these companies. Saudi Arabia is profoundly influencing the technological advances of multiple industries through increasing collaboration and in-country partnerships with communities around the world. The evolution of the Kingdom's family-owned businesses is becoming more important to investors as young Saudis claim their legacies, and this book provides an insightful understanding of the changing nature of Saudi business. Meet the emerging entrepreneur class of Saudi Arabia Learn how the Saudi boom affects global business Discover what investors need to know about the Saudi economy Examine how time and technology is reshaping the way business is done Gain useful insight into the direction management of the Kingdom's growth will take over the next five years The Saudi economy constitutes thirty percent of the Arab world's GDP, and sixty percent of the population is under the age of thirty. Business and Entrepreneurship in Saudi Arabia provides essential information investors need to navigate the changing tide of doing business in Saudi Arabia.